Wondering how to flock a Christmas tree? I was wondering the same thing! I took matters into my own hands and flocked my own tree saving me tons of money and I am so happy with the end result! 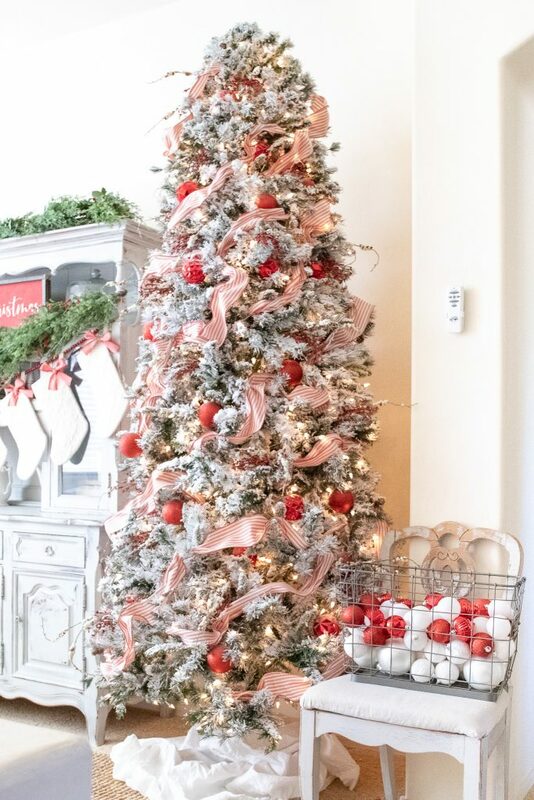 I’m sharing step by step how I flocked my tree and how you can achieve the same beautiful results!? 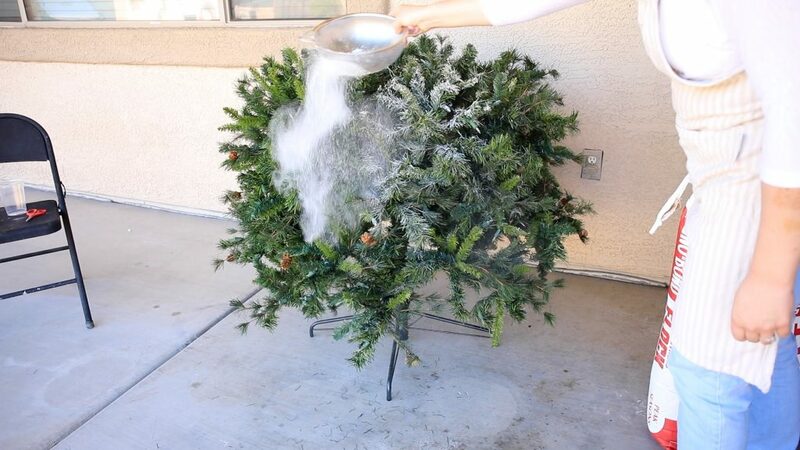 In an outdoor well ventilated space put down a tarp and place your artificial tree in the middle. 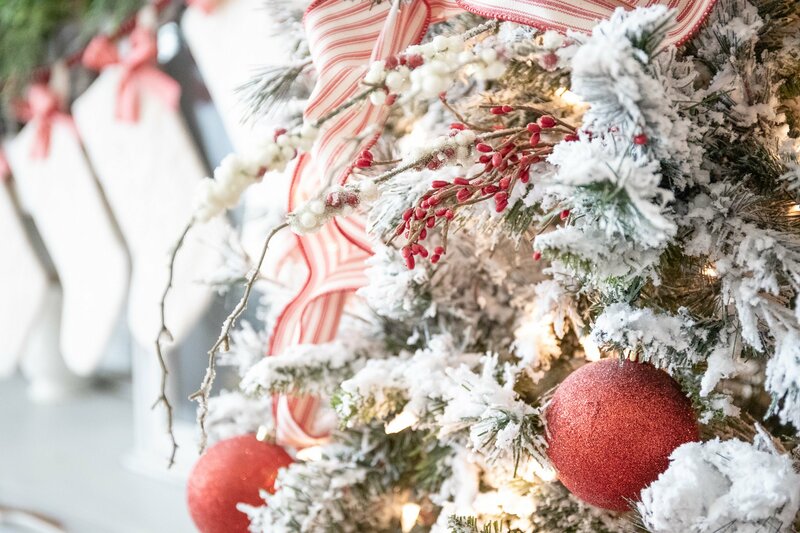 Fluff your entire tree and unplug any lights. You will be getting your Christmas tree wet as you flock it and you don’t want to get electrocuted! 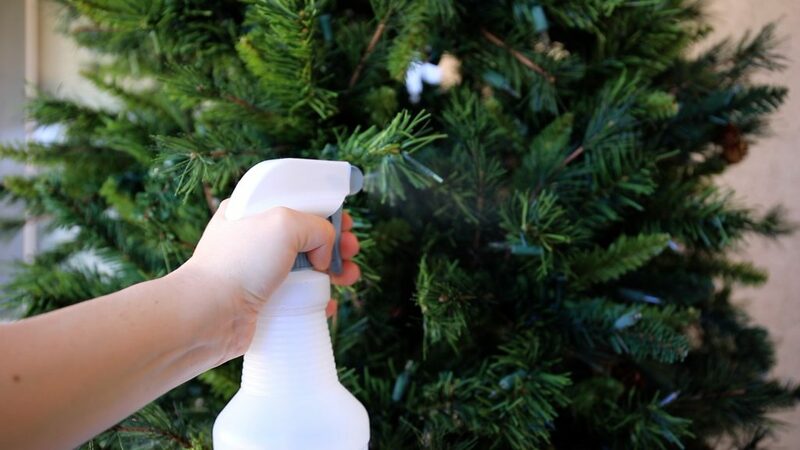 Next, once your tree is completely fluffed get it wet with a good spray bottle! 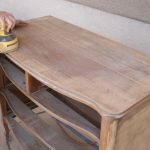 I found that working in small sections and spraying as I went worked well! Working in sections put your snow bond powder into a cup and lightly dump it all over the area of your Christmas tree ?you are working on. 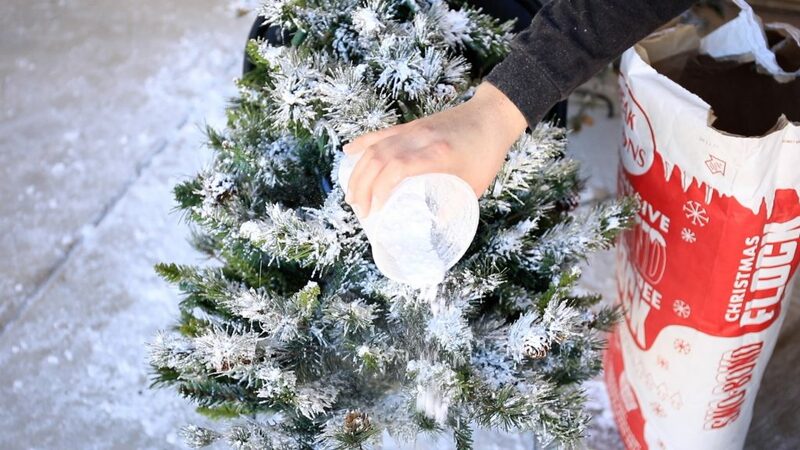 Now, once you have dumped enough snow bond on your artificial trees, get it wet again. This will make the snow bond harden and stay in place permentently. Repeat these steps laying your tree as many times until you have the desired amount of flocking bonded to your entire tree! Let sit until dry and the flocking material has hardened and you’re done! I found that you really cannot mess this up! As I added the Snowbond to my tree I realized that the more I put on my tree the better it looked! I worked in small sections, wetting and flocking, wetting and flocking. When I was finished flocking my ?tree, I ended up with 3-4 layers of water/snow bond on my tree. I also discovered, that working in layers worked best and allowed for the snow bond to adhere better as I flocked my Christmas tree! I also found that the snow bond was STINKY! Don’t worry though this smell will dissipate after about 24 hours! By the time I had finished flocking and let it sit and harden the smell was gone. When I moved it into my house I didn’t notice the smell at all. You will need lots of water for this process! The Snowbond will attach better the more wet your tree is. I found that working in small sections and keeping it very wet was key! 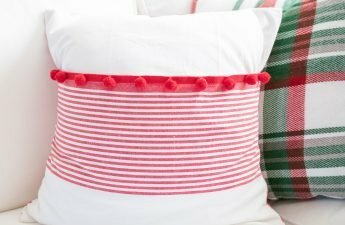 Should you Use a Sifter of Cup When Flocking a Christmas Tree? I used a sifter to apply my Snowbond as well as a plastic cup. I kind of got into a rhythm after a while and started to gravitate towards my cup more. The reason I like the cup better was that it “dumped” the snow onto the branches more authentically. This looked more like fallen snow. The sifter “misted” the snow on making it look more powdery and while this still worked I liked the way the cup application looked better. Its all just a matter of personal preference. It is cheap!! I priced out a new tree that was flocked and its hard to find one under several hundred dollars that doesn’t look cheap and has lights! The bag of snowbound I used only cost $40! Bargain!!! A little goes a long way! I still have 1/2 of my 2 lb bag left so I could flock another tree or add flock to this tree should I need too. The process is not complicated. Wet-flock-wet-flock! You really can’t mess it up! Flock your tree, flock it again, and flock it some more! thats really the key to a beautiful end result! Nothing fancy! Its permanent! 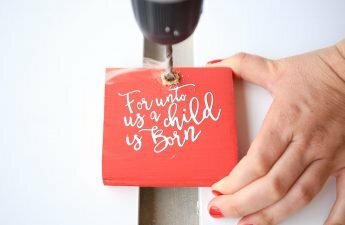 It will stay on your tree forever so you only have to do this process one time! Its so dang pretty!!! I wish I had been brave enough to do this a few years ago it really is so delightful to look at!!! No regrets here at all!!! Flocking your Christmas tree is A HOT MESS! it is so messy the process and then the tree afterwards! Flock falls off my tree if you touch or move it at all.That is kind of annoying but I still think its worth it! Did I mention its a mess? I think its worth mentioning again because its so messy! I just don’t want you to come back here and be like HALEY why didn’t you warn me??!! ha ha. The good news is that it easily washed outmy clothes hair and porch without much scrubbing! Upkeep-I do think that this first application of flock will last and look great for a couple years but I anticipate I’ll need to touch it up as time goes on. 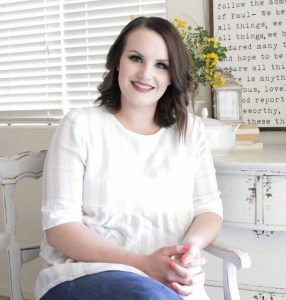 Something to keep in mind if you’re not about upkeep! 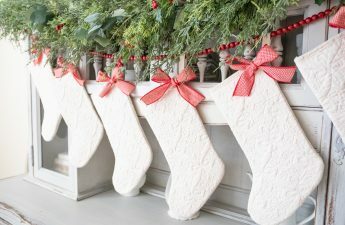 As I decorated my tree flock dusted onto all my ornaments I think its actually pretty, but that may not be something you enjoy! I suspect if I had wet it really good a few more times and let it Harden even more this wouldn’t have happened so I’ll chalk that up to user error. it can take a little while to flock the whole tree enough to finally be done! ?So set aside a few days to flocking your tree if you decided to go for it! One day just for letting it dry and Harden and 1-2 for flocking! Thats it! I am so pleased with how my tree came out I would do it again for these results in a heartbeat! let me know if you flock your tree I’d love to see how it turned out! If you wan to save this idea for later be sure to pin the image below!